Remember God’s goodness and dependability. Worship him with thanksgiving and praise. 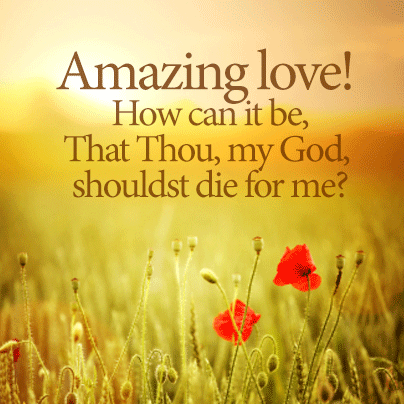 Our Lord Jesus Christ has earned salvation for us on the cross and His love is amazing. Let us live for Him every day and His grace is new every morning. This entry was posted in Word of God and tagged christ the solid rock, confidence, open my eyes, small beginnings, Thanksgiving, Transformation, Witness on November 22, 2012 by thejourneyinchrist. However, as it is written: “What no eye has seen, what no ear has heard, and what no human mind has conceived” the things God has prepared for those who love him these are the things God has revealed to us by his Spirit. The Spirit searches all things, even the deep things of God. 1 Cor 2: 9-10. “God’s deep secrets” refers to God’s unfathomable nature and his wonderful plan – Jesus’ death and resurrection – and to the promise of salvation, revealed only to those who believe that what God says is true. This entry was posted in Christian Foundation, Christian Leadership, Christian life and tagged Secret on November 15, 2012 by thejourneyinchrist. The Holy Spirit is God’s promise of eternal life for those who believe in Him. The Spirit is in us now by faith, and by faith we are certain to live with Christ forever. He is the power source behind the spiritual rebirth of every Christian and He gives the power to live a victorious Christian life in this world. This entry was posted in Christian Discipleship, Christian life, Holy Spirit and tagged holy spirit on November 15, 2012 by thejourneyinchrist. Lord Jesus is close enough to us always beyond our imagination. Sometimes we feel that our problems will keep us from God. But He is always ready to help no matter how big the problem seems to us. We should never allow our fear to keep us from approaching him. This entry was posted in Word of God and tagged faith on November 15, 2012 by thejourneyinchrist. God wants to show you what is true and equip you to live for Him. Read the word of God regularly to discover God’s truth and to become confident in Christ. When you have confidence in Christ you will see the world with God’s perspective. This entry was posted in Christian Foundation, Christian life and tagged confidence, Teaching on November 15, 2012 by thejourneyinchrist. God has good, pleasing and perfect plans for his children. He wants us to be transformed people with renewed minds, living to honor and obey him. Only when the Holy Spirit renews, reeducates and redirects our mind are we truly transformed. This entry was posted in Christian Foundation, Christian life, Word of God and tagged Transformation on November 15, 2012 by thejourneyinchrist.